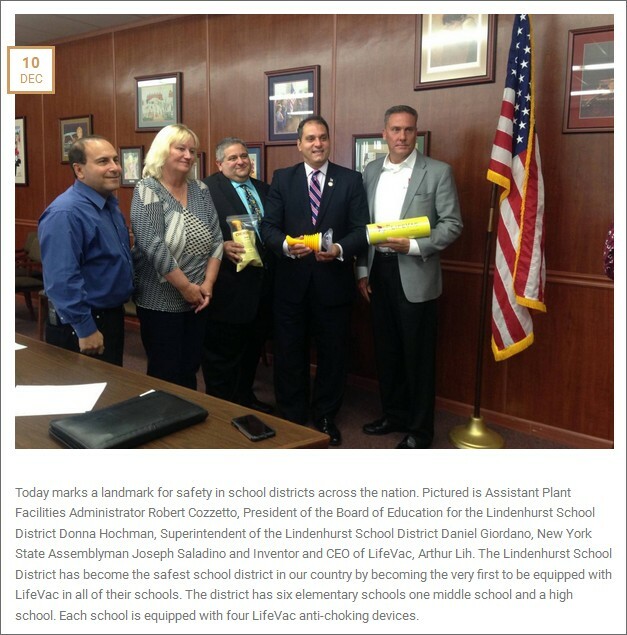 Since the (New York City Department of Education) said it had no knowledge of LifeVac in any of it's schools and added, "The Department of Education does not recommend this device." Lindenhurst has also pulled the plug on (the plunger). Click here for a January 27, 2016 response/thank-you letter to me from the NY State Education Department. Click here to download a copy of my January 6, 2015 letter to New York State Education Commissioner MaryEllen Elia. Click here to download a copy of my near-identical January 7, 2015 letter to New York City Education Chancellor Carmen Fariña.